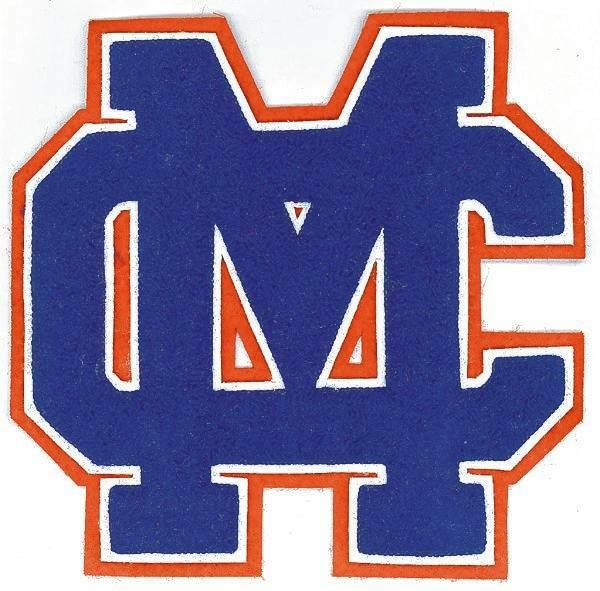 ADAMS TOWNSHIP — Clinton-Massie High School has announced its second quarter honor roll. Vanessa Asher, Brett Bradley, Lauren Baker, Jessie Bishop, Samantha Bowman, Abigail Broglin, Joel Brothers, Allison Brown, Jacob Campbell, Abby Coy, Shelby Danbury, Ashley Doyle, Kayla Drake, Luke Engelhard, Carter Euton, Chloe Filipkowski and Kaitlyn Franklin. Also, Braydon Green, India Guisleman, Ann Harner, Breckin Harner, Bryce Hensley, Colton Holdren, Hailey Hubbard, Emalee Jett, Ethan Johnson, Alexander Jones, Garret Karns, Tyler Keck, Kaley Koch, Kylee Lamb, Luke Lentine, Brady Lisle and Lauren Logsdon. Also, Daelin Maple, William Marler, Elizabeth Mason, Caleb Miller, Grant Moorman, Alissa Muterspaw, Garrett Newkirk, Sarah Norton, Brian Poston, Lauren Potts, Sierra Reese, Zachary Reeves, Kassie Renner, Maggie Rinehart, Braden Rolf, Jocelyn Sanders and Emma Schell. Also, Delaney Schneder, Lane Schulz, Layla Schurman, Nicholas Sherman, Nathan Smith, Travis Smith, Madeline Spiewak, Abbey Steed, Collin Swope, Jocelyn Taylor, Olivia Thesken, Christina Tidwell, Colton Trampler, Layla Vineyard, Riley Wahsum, Breianna Wulf, Holly Young and Kody Zantene. Ethan Amstutz, McKenzie Avery, Samantha Barnes, Joseph Baughman, Barek Bennett, Samuel Binau, Brett Bradley, Maddie Brausch, Donald Brewer, Leah Burton, Nathanael Carmean, Clay Carroll, Regan Cole, Tanner Cole, Avery Cranmer and Miranda Crawford. Also, Johanna Davidson, Colton Doyle, Logan Doyle, Mateo Elza, Bethany Fessler, Logan Florea, Abby George, Samuel Glass, Ashley Gross, Connor Harrison, Moritz Hermanns, Madison Highland, Sara Hodge, Ethan Hughes, Kaleb Hughes, Ashlen Jackman and Natalie Lay. Also, Cooper Lewis, Matthew Lewis, Gabriel Longmire, Conner Martini, Logan Meyers, Michael Moritz, Elisa Muller, Aurora Mullis, Heather Muselin, Emma Muterspaw, Liam Neeley, Jenna Norman, Adam Norton, Mackenzie Osborne, Elle Paul and Emma Paul. Also, Luci Payne, Austin Powell, Abigail Schneider, Pearl Spurlock, Quintin Spurlock, Kenzie Stinchcomb, Isabella Theetge, Kennedy Thompson, Aidan Wallace, Cienna Wallace, Veda Wenzler, Amanda Wilson and Carter Woolverton. Lauren Amberger, Clayton Amburgy, Kendall Anderson, Hannah Armstrong, Arissa Bailey, Josie Baker, Nathan Baker, Sydney Bashaw, Amelia Binau, Robyn Birzer, Hunter Broderick, Luke Campbell, Sadie Carruthers, Alyssa Carter, Lindsey Carter and Patience Chowning. Also, Mackenzie Click, Carson Conrad, Kari Cragwall, Jared Crisenbery, Liza Duncan, Austin Faucett, Johnathan Gehringer, Clara Gibson, Seth Goodall, Kaylah Heim, Savannah Henderson, Alyssa Hickey, Madelyn Hillard, Ashley Jones and Chase Kamps. Also, Erika Keller, Dylan Kincer, Lauren Kropp, Adin Lamb, Brendan Lamb, Nina Lazic, Lillian Lentine, Molly Lynch, Destiny Martin, Joshua Merkle, Delaney Miller, Carly Moritz, Sidney Petrey, Sarah Pitts, Jordan Powell, Haley Poynter, Maura Pridemore and Nolan Pringnitz. Also, Logan Rauh, Caroline Rhude, Rylee Richardson, Ethan Rinehart, Alexis Robinette, Benjamin Ryan, Coleton Schell, Raelee Schulz, Alexander Shelton, Victoria Sivert, Timothy Smith, Olivia Swicegood and Adam Thopmson. Also, Garrett Trampler, Wesley Vert, Mackynzi Vonderhaar, Ally Wellman, Bryse West, Maggie Williams, Vanessa Wilson, Paige Wood, Gabby Woods, Davis Wulf and D.J. Young. Nathaniel Allgeyer, Lindsey Amberger, Halie Boop, Gunnar Broglin, Jennifer Callewaert, Cierra Carr, Hailey Clayborn, Haley Conley, Alexis Considine, McKenna Crawford, Mei Mei Davis, Madison Enright, Abbey Faucett, Emma Filipkowski and Logan Fisher. Also, Taylor Florea, Tyler Greathouse, Kylie Harvey, Connor Hendrickson, Allie Houseman, Joshua Hurley, Dalton Jones, Sarah Karns, Paige Kleinholz, Griffin Laake, Christian Laymon, Hunter LeForge, Tyler Lewis, Jason Martin and Raelynne Mason. Also, Noah McGorry, Caden McKay, Hunter Minnish, Peyton Newport, Matthew Phillips, Izabella Pinardi, Emily Rager, Karlee Rice, James Riehle, Hayley Roberts, Caley Sallee, Seth Schmidt and Emilee Schweitzer. Also, Drew Settlemyre, Timothy Shafer, Brady Speaks, Seth Stiverson, Brennen Swope, Nautas Taylor, Spencer Voss, Journey Wenzler, Brandon Williams, Daulton Wolfe, Annie Wood and Erica Wright.